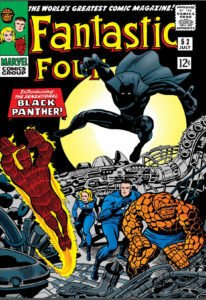 I have been a Black Panther fan for over half a century, ever since the character’s debut in (1966). He has starred in his own title as well as being an important member of the Avengers super-team. 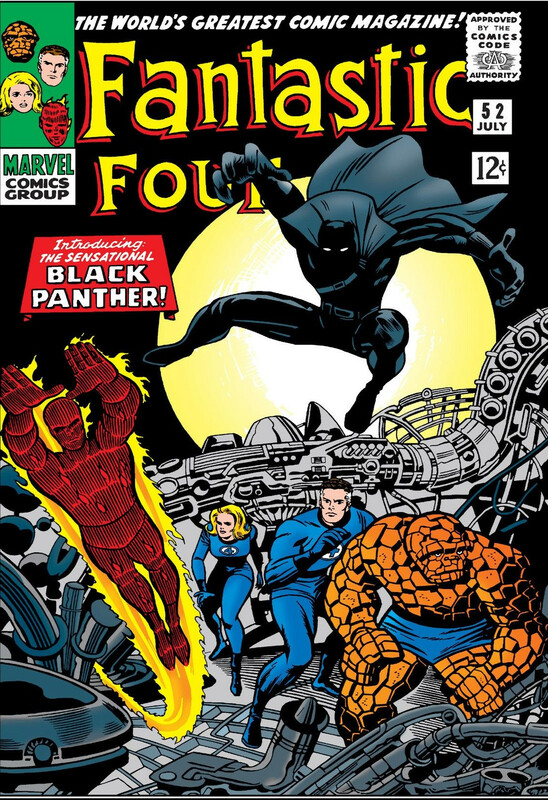 Prince T’challa, son of T’chaka, was the creation of the greatest comic book visionary of all, Jack Kirby, whose various characters, series, and ideas are too numerous to list here. He pioneered a dynamism of illustration, panel composition, and character anatomy depiction hitherto unimagined. No one has since surpassed him, and his creations are ever-new, as witness this year’s film, The Black Panther. Originally Kirby dubbed the character “the Coal Tiger,” an indigenous designation for the eponymous jungle cat. He (or perhaps editor Stan Lee) thought better of it and switched to “the Black Panther.” This was just before the formation of the militant Black Panther Party with their “Communitarian” ideology. (I remember seeing “Free Bobby Seale” posters on the walls of Harlem back in the day.) I don’t believe the group got the name from the comic hero, but the superhero’s name was certainly not based on theirs. Nonetheless, the sudden notoriety of the Black Panther Party made Stan and Jack entertain second thoughts on the name. For a brief while they changed the name to “the Black Leopard” (which is what a panther is, after all, “black panther” being a redundancy), but soon they decided “To hell with it” and returned to using “the Black Panther.” But that wasn’t quite the end of the matter. Ostensibly because of the redundancy, they soon started to call him simply “the Panther.” This was during his Avengers stint, which I loved. But eventually they went back to the full “Black Panther” title again. What about the original “Coal Tiger” moniker? Well, in a 1990s series called “A-Next” (AKA “Avengers Next Generation”), the Panther retired and was succeeded by T’chaka, son of T’challa, who broke with tradition and called himself the Coal Tiger. Hitherto, the costume and the name Black Panther were both hereditary, exactly analogous to another costumed jungle hero ( a white-skinned one), the Phantom, “the Ghost Who Walks,” who simulated immortality by handing on the role from father to son over the centuries. By the way, in an Atlas Comics title, quite short-lived, called Tiger-Man, Marvel veteran Steve Ditko (co-creator of Spider-Man) illustrated a story featuring a villain (who soon turned out to be a hero) called “the Blue Leopard”! He was much more interesting than the ho-hum Tiger-Man. The Black Panthers were the kings of a hidden African kingdom called “Wakanda,” a realm of fantastic technological super-science combined with traditional African culture and customs. This Lee-Kirby creation mirrored their version of Asgard, the realm of Thor, Odin, Loki, and Heimdall. It, too, combined futuristic tech and architecture with highly stylized neo-Norse chic. Asgard was, of course, part of historical Norse myth. Wakanda is not a mythological place in Africa as far as I know, but the name itself is genuinely African. It denotes a kind of magical energy, supernatural power, or just great good luck: that force that makes a king a king, that brings prosperity to traders or farmers, that enables shamans to heal and commune with the ancestors. American Indians refer to it as orenda, South Sea Islanders as mana. 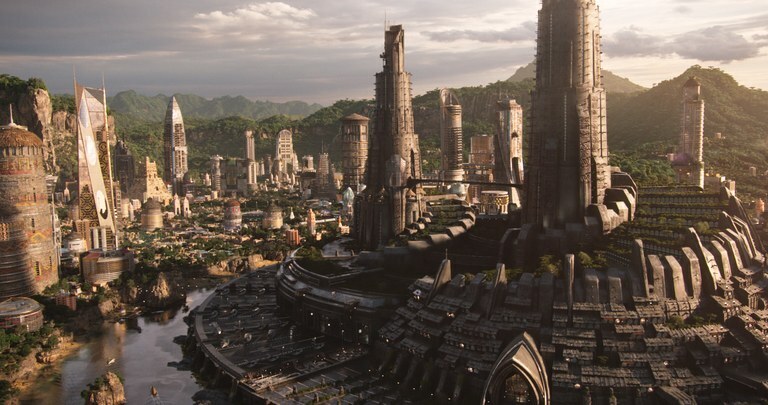 Luke Skywalker calls it simply “the Force.” So Wakanda is a name of power for a place of power. And the enormous popular response to the movie shows this power in abundance. It is clear by now that superheroes are the modern gods of a new mythology. The Black Panther is hardly alone in this. But it has a unique cultural and social importance. It upholds an inspiring model for African-American youth, a stentorian voice in opposition to the nihilistic and self-destructive propaganda of much Rap music and the slave-morality fostered by the poisonous rhetoric of Al Sharpton, Jesse Jackson, and Louis Farrakhan. In filling in the Panther’s background, Stan asked himself, “Why shouldn’t there be scientific geniuses in Africa?” Indeed, why not? And why shouldn’t there be scientists, scholars, and experts among African-Americans? Of course, there are! But the Leftist self-hating victim-mentality of black demagogues discounts such people, assuring young African-Americans that these successful fellow-blacks are exceptions that prove the rule. They can have succeeded in the white American system only by selling out to it. They are race traitors, betraying their brothers and sisters by doing what Whitey does—succeeding! What a recipe for cultural and social suicide! If this is how you see it, you have internalized the racism of the Ku Klux Klan. Maybe you didn’t notice it because the Grand Dragon was in minstrel-show black-face and calling himself Al Sharpton. But The Black Panther calls that bluff. But I’m not. True, Wakanda does not exist, but something much like it once did. Did you ever hear about the glorious Muslim empires of Late Medieval Africa: Ghana, Mali, and Songhay? They had civilizations matching or surpassing those in Europe. 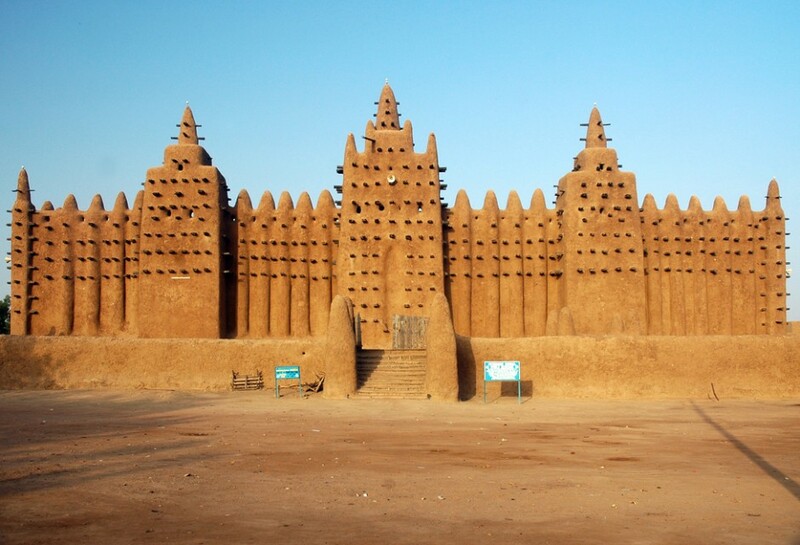 Ghana could boast a university, Timbuktu. That name probably sounds familiar, but few know what the name referred to. And the names of some of these empires have been appropriated by a few modern African states, though, thanks to arbitrary boundaries carved by European colonial powers, they do not cover the same territory as their namesakes. Remember how Wakanda’s scientific mastery was enabled by their huge deposit of meteoric Vibranium? 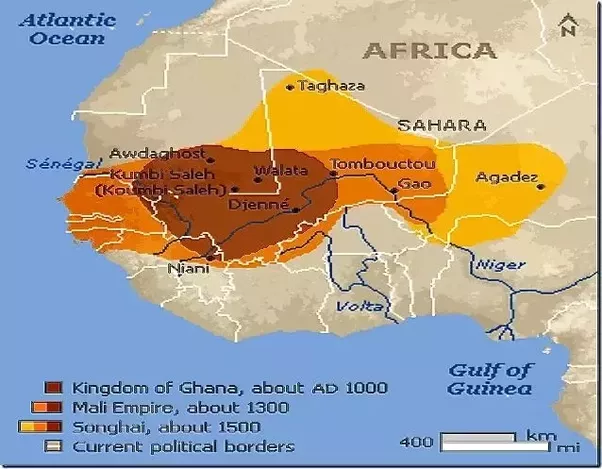 That actually mirrors history, since the wealth of these old African empires was based on their great gold mines. It ain’t Vibranium, but it ain’t bad! A couple of decades ago, controversy raged over “Afrocentrism,” a tendentious rewriting of history bogusly claiming, e.g., that the Egyptians, with their grand civilization, were black Africans. The goal here was in effect to appropriate one nation’s heritage for the benefit of another. The odious implication was that African-Americans had no real heritage in which to take pride, so why not steal someone else’s in order to boost African-American self-esteem? During all this nonsense, I was baffled as to why schools did not instead teach black youth about the real glories of old Africa. I still cannot understand it! I learned about the African empires in unspectacular, working-class Bloomfield High School in my “Non-Western History” class, where I also first learned about Islam. Why does this rich heritage remain a big secret? George Santayana famously warned that those who fail to learn the hard lessons of the past are doomed to repeat them. But it is equally true that those who remain ignorant of the glories of the past are doomed not to repeat them. So, no, there is no Wakanda, but there used to be. And if we taught new generations about it, there might be one again. That is the hope and the promise represented by The Black Panther. Sorry, I didn’t care for it. I thought it was half a movie – two big fights and no moral progression for Killmonger. T’Challa was a bit of a bore. What was that geeky white guy doing hanging around? Anyway…. …I just tried reading Ehrman’s Triumph of Christianity and it bored me to tears. Do you recommend another book on the same subject?